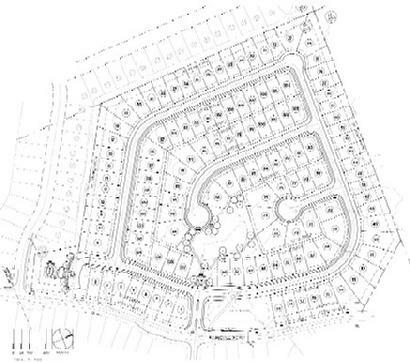 30.59 acres located across from the Woodstock Outlet Mall at Ridgewalk Parkway and Olde Rope Mill, this site was entitled for 132 Active Adult Homes. Tony Eyl of Landmark Commercial Realty as Exclusive Broker representing the Seller. 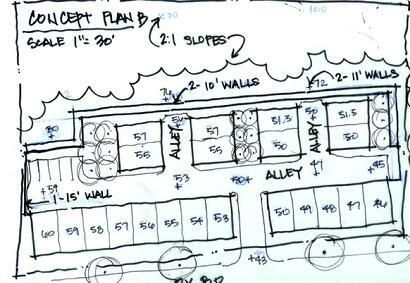 13.79 acre site entitled for 94 townhomes in the City of Holly Springs, GA. Tony Eyl of Landmark Commercial Realty as Exclusive Broker representing the Purchaser. 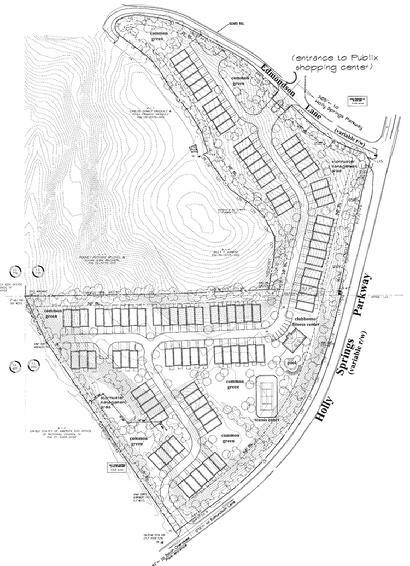 Phase 5 and final phase of the Cherokee Reserve Subdivision located in Canton, GA. Tony Eyl of Landmark Commercial Realty as Exclusive Broker representing the Purchaser. 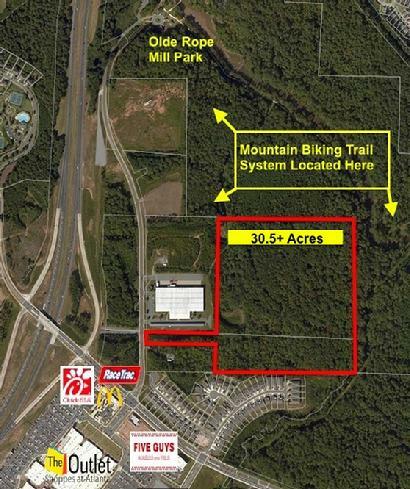 5 Acres Industrial land in city of Buford, GA. Tony Eyl of Landmark Commercial Realty as Exclusive Broker representing the Seller. VDL's in the Dogwood Trace subdivision in Jasper, GA. Tony Eyl of Landmark Commercial Realty as Exclusive Broker representing the Purchaser. 25.9 acres at corner of Avery and Epperson Roads in Canton. To be developed into estate lots. Tony Eyl of Landmark Commercial Realty as Exclusive Broker representing the Seller. 30.5 acre assemblage along Little River at Trickum Road. One of the last undeveloped parcels in the city of Woodstock fronting along Little River. 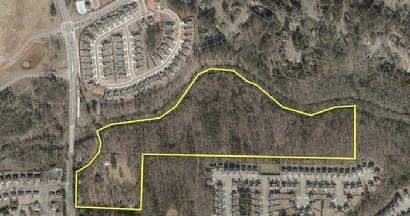 Sold to the City of Woodstock as part of a planned 100 acre park with trails, canoe launch ramps, and community space. Tony Eyl of Landmark Commercial Realty as Exclusive Broker representing the Seller. 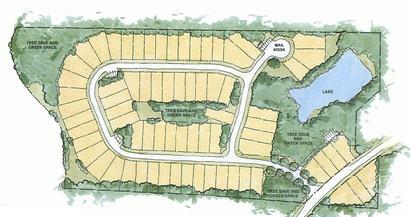 86 active adult single family builidng lots within the gated community, Heritage at Towne Lake. Located within the Bells Ferry LCI Corridor at Towne Lake. Tony Eyl of Landmark Commercial Realty as Exclusive Broker representing the Seller. 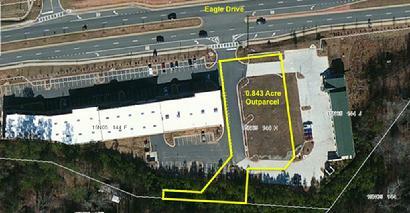 1+ acre outparcel pad site adjoining existing Walgreens store at Hwy 92 and I-75 in Acworth, GA. Tony Eyl of Landmark Commercial Realty as Broker representing the Seller. 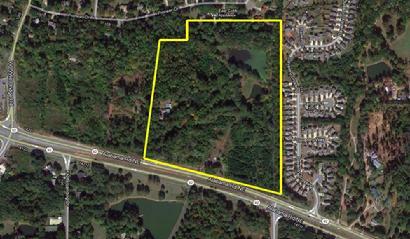 18.7 acre site located on Woodstock Parkway near I-575, Towne Lake Parkway, and downtown Woodstock. 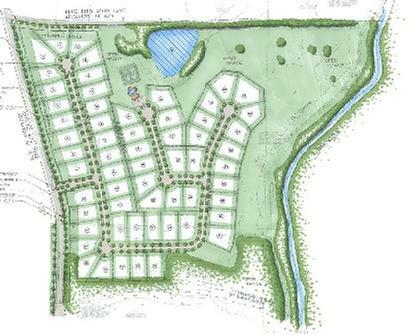 Zoned for 149 townhomes. Tony Eyl of Landmark Commercial Realty as Broker representing the Purchaser. 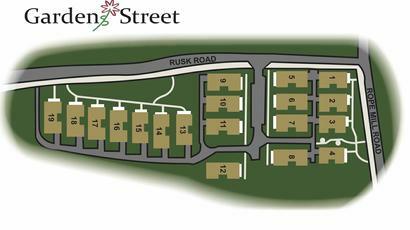 10.23 acres within City of Woodstock zoned and approved for 48 townhome lots. Tony Eyl of Landmark Commercial Realty as Broker representing the Seller. 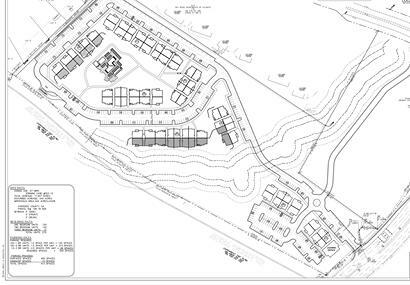 21.5 acre site located on Woodstock Road in southwest Cherokee County and zoned for 66 single family detached homes for active adult product. Tony Eyl of Landmark Commercial Realty as Broker representing the Purchaser. 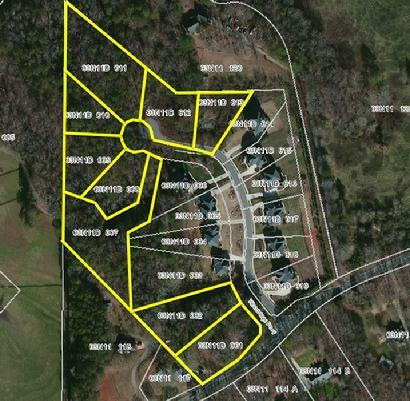 Remaining VDL building lots within Mill Park, a 32 lot enclave on Rope Mill Road in Woodstock, GA. Tony Eyl of Landmark Commercial Realty as Broker representing the Purchaser/Builder. 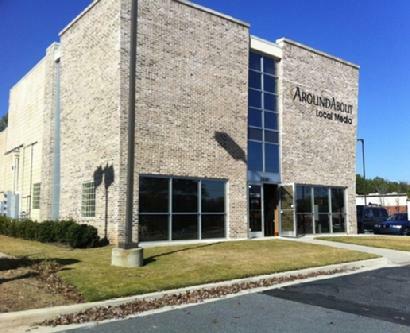 11,400 square foot industrial building on 2.75 acres in the Woodstock, GA market. Tony Eyl of Landmark Commercial Realty as Broker representing the Seller. Former KFC in the heart of Towne Lake. This 2,400 sq. ft. building is one of the developed outparcels at the Towne Lake Kroger shopping center. Tony Eyl of Landmark Commercial Realty as Broker representing the Purchaser. 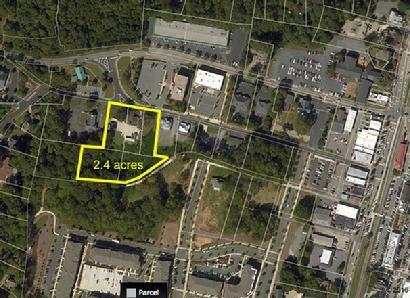 2.4 acre site zoned DT-CBD located at the intersection of Mill Street and Towne Lake Parkway. This "gateway" assemblage to the downtown district of Woodstock adjoins the Greenprints Trail and will be redevloped for 28 town homes. Tony Eyl of Landmark Commercial Realty as Broker representing the Purchaser. 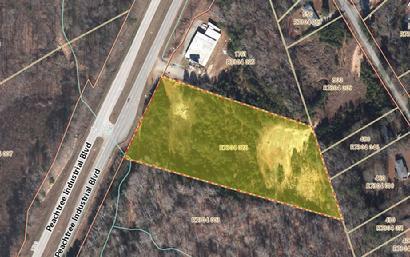 3.29 acre site zoned DT-GC located at the SW corner of Stonecroft Lane and Hwy 92 just east of Main Street. Soon to be the site of a new owner occupied office building. Tony Eyl of Landmark Commercial Realty as Broker representing the Seller. 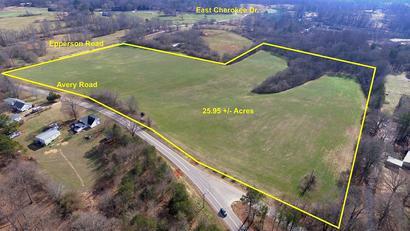 30.7 acre site located in the heart of "downtown" Hickory Flat at the intersection of Hickory Road and East Cherokee Drive. 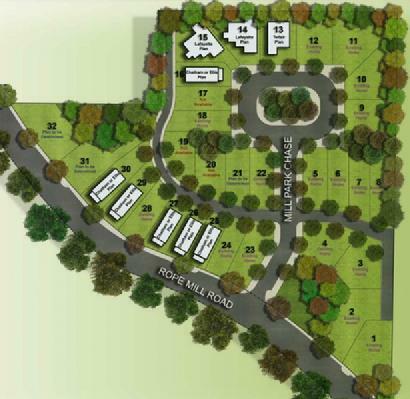 This site will be developed as 90 active adult homesites. Tony Eyl of Landmark Commercial Realty as Broker representing the Buyer. 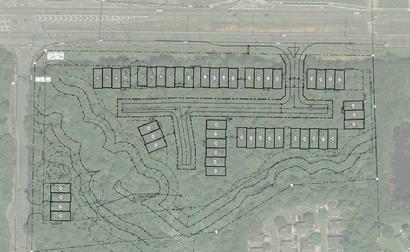 Located on Trickum Road, this 68 acre site was zoned for 85 detached lots for active adult product. Tony Eyl of Landmark Commercial Realty as Broker representing the Buyer. 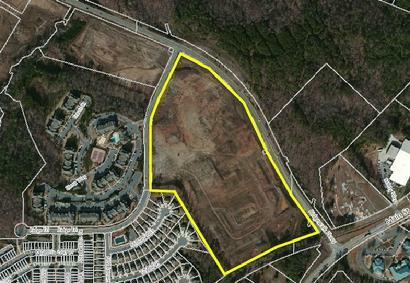 Developed commercial outparcel in Towne Lake zoned GC and pad ready for retail/restaurant end user. Tony Eyl of Landmark Commercial Realty as exclusive Broker representing the Seller. 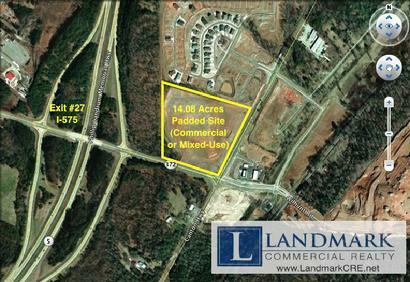 5 parcel assemblage of 128 acres fronting both North Arnold Mill Road and Arnold Mill Road in Woodstock, GA. Soon to be "Sanctuary," a conservation community of 115 lots with over 40% permenant greenspace. Tony Eyl of Landmark Commercial Realty as exclusive Buyer's Broker representing the Developer/Builder. 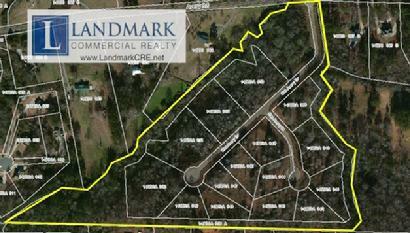 15.28 acres fronting Hwy 92 in Woodstock at Clover Creek. A golf driving range for 30+ years, the site is being redeveloped for 40 residential lots and commercial at the Hwy 92 frontage. Tony Eyl of Landmark Commercial Realty as exclusive Buyer's Broker representing the Developer/Builder. 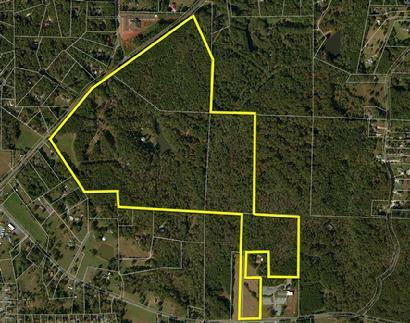 51+ acres at Little River and Trickum Road in Woodstock. This unique property consisted of mostly floodplain acreage and a small lake. Tony Eyl of Landmark Commercial Realty as exclusive Broker representing the Seller. 9 lot redevelopment site at corner of Main Street and Linton Street. 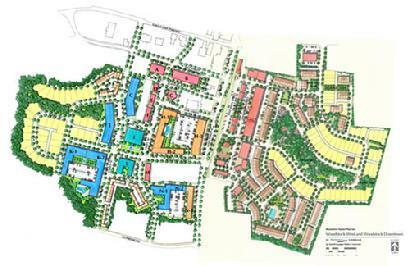 Mixed-use zoning for commercial and courtyard homes. Tony Eyl of Landmark Commercial Realty as exclusive broker representing the Seller. 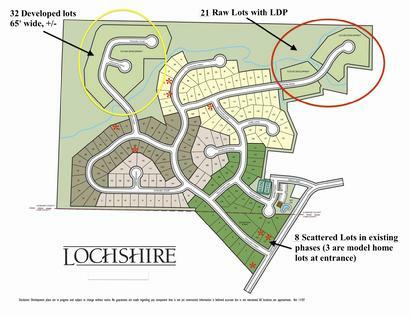 60 building lots within the Lochshire subdivision in SW Cherokee County, GA. Lots represented last 2 phases of Lochshire. Tony Eyl of Landmark Commercial Realty as exclusive broker representing the Seller/Developer. 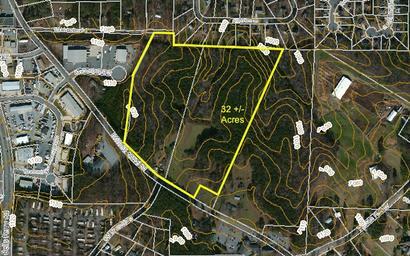 32.95 acres fronting Bascomb Carmel Road on the edge of Towne Lake. Zoned for 100 detached lots. Tony Eyl of Landmark Commercial Realty representing the purchasing developer. 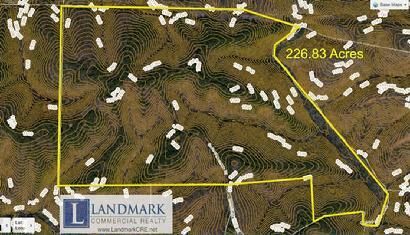 226.83 acres of pristine hardwoods atop Garland Mountain in Waleska, GA. This site is going to soon be transformed into a Sporting Clays shooting facility and lodge...a premier destination in Cherokee County. Bank owned asset disposed of with Landmark Commercial Realty as exclusive broker. 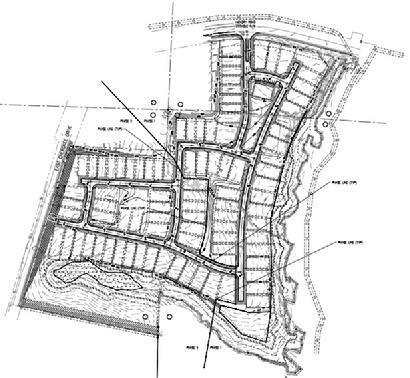 312 residential lots and all HOA lands. 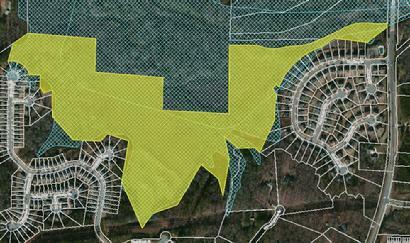 One of the largest residential development land sales for Cherokee County in 2014. 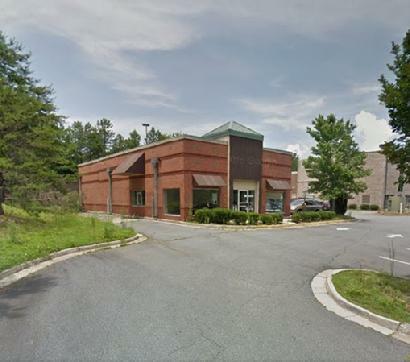 Bank owned asset disposed of with Landmark Commercial Realty as exclusive broker. 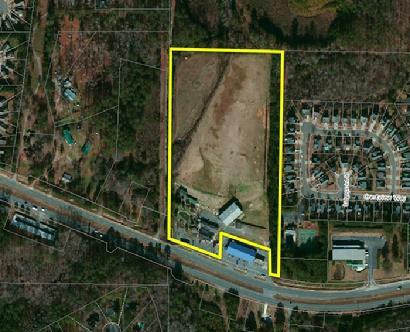 14 acre Pin Corner Commercial Pad site off I-575 and Howell Bridge Road in Ball Ground, GA. Bank owned asset disposed of through Landmark Commercial Realty. 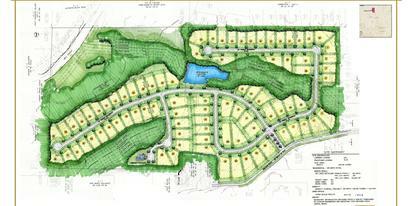 VDL Subdivision in SW Cherokee County comprised of 75 developed and 74 additional Phase 2 lots for a total of 149 lots. Sold to one of Atlanta's large local production builders. Bank short sale. 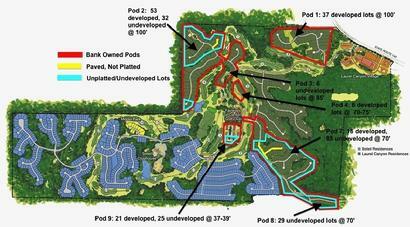 9 VDL's within the 19 lot subdivision, Woodridge Estates, in the East Cherokee Drive cooridor of Cherokee County. A market builder sale. 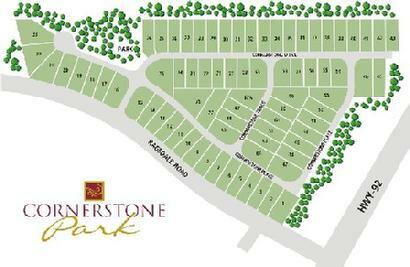 8 parcel assemblage successfully annexed and rezoned into the City of Woodstock for 200 detached lots. 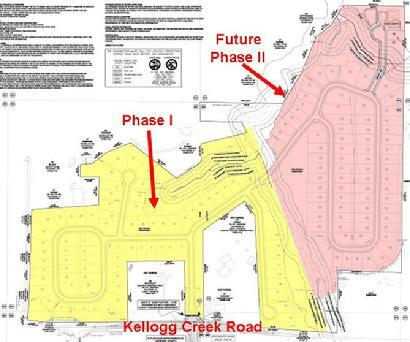 Woodstock's first true conservation subdivision with 40% greenspace being preserved. 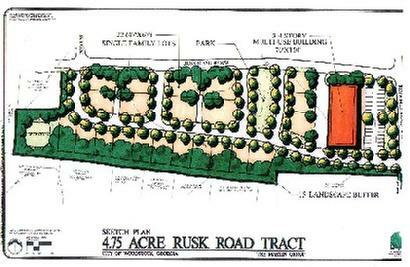 This project represented the largest new residential development brought into the City of Woodstock in 2013. 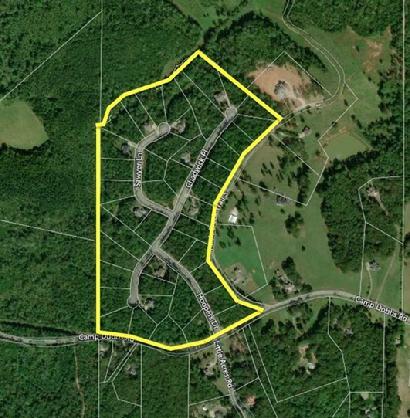 15 estate lot community/enclave off the East Cherokee Drive/Hwy 140 corridor. Bank short sale. One of Woodstock's last remaining VDL pipe farms left over from the market downturn, successfully rezoned from attached townhomes to detached units to meet current market demands and sold for new home construction in today's market. 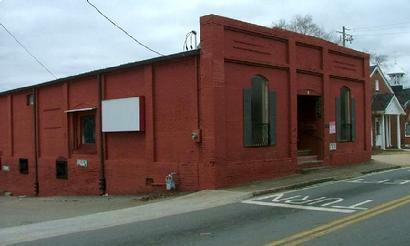 Woodstock's oldest and most historic building in downtown Woodstock- the last remaining Cotton Warehouse. 5,600 sq. ft. building sold to her new owner/occupant. Truly one of the most unique buildings in all of downtown Woodstock. 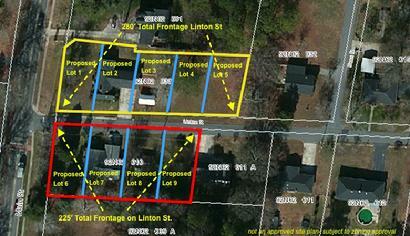 Phase 3 undeveloped land for Heritage Town Park community in Canton, GA. Bank short sale. 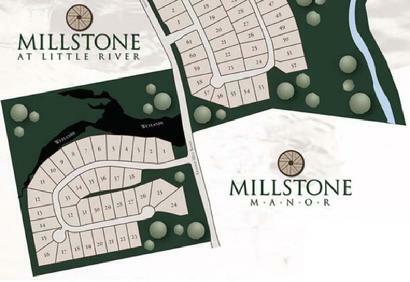 Remaining 26 VDL's within the Millstone Manor subdivision. Landmark represented the Buyer, one of Atlanta's newest regional homebuilders entering the Atlanta market. Fronting on Ridgewalk Parkway and next to Woodstock's new Outlet Mall currently under construction and the newly opened Ridgewalk I-575 interchange, this pad ready site was sold for development of the new Watermarke Church campus facility to serve the Woodstock, Georgia community. Tony Eyl of Landmark Commercial Realty representing Watermarke/North Point Community Church. Sold for residential development for one of Atlanta's best active adult builders, this site will be created as a 90 lot oasis within the Hwy 92 Corridor between Roswell and Woodstock. 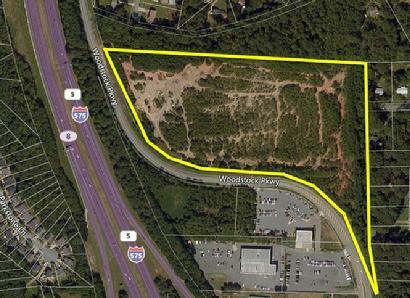 This undeveloped 17.5 acre site was successfully rezoned for 306 multifamily apartment units fronting on Highway 92 near Laurelwood Drive and the railroad tracks going through downtown Woodstock. This bank owned 6,500 sq. ft. retail and office building had frontage direclty on Towne Lake Parkway in front of the local Kroger grocery store. Excellent location and tremendous visibilty, it was a great buying opportunity with lots of growth potential. 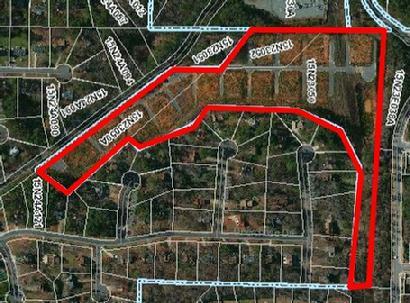 Infill land sale of (partially developed) bank owned property in downtown Woodstock for the development of detached enclave homes within the downtown district. Infill multifamily development site located in the heart of historic downtown Roswell, GA zoned 14 units per acre and overlooking Vickery Creek. This 40,250 sq. ft. campus situated on 3.5 acres is one of Woodstock's most prominent and visible properties at the corner of Main Street and Towne Lake Parkway. 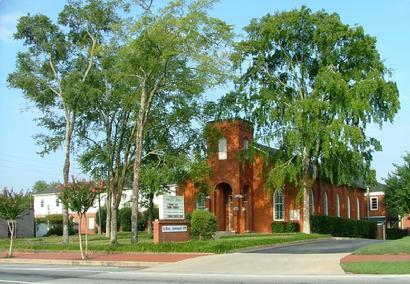 Originally the site of Woodstock First Baptist church, it has a long history and has always played a central roll in the local community. Tony Eyl was selected to represent the Seller (Woodstock Community Church) and the property was purchased to be the new civic complex serving the needs of the downtown district. Tony Eyl as exclusive broker. This 4.07 acre site situated at the corner of Brownlee Road and Rope Mill Road was selected for a new 20,000 sq. ft. church campus. Centrally located near Woodstock's downtown district and the proposed new I-575 interchange at Rope Mill Road, new construction on the facility is set to begin in the winter of 2009. Tony Eyl as exclusive broker. This 36,000 sq. 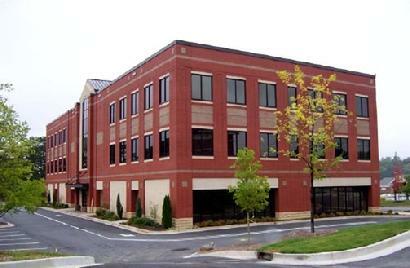 ft. Class A office building is one of Woodstock's newest and highest quality office buildings. The former corporate headquarters for Robert Harris Homes, this building was purchased by the City of Woodstock as a new City Hall Annex Building to meet their increased space needs. This transaction was truly an honor as Tony Eyl was selected (amongst all other brokers in the metro Atlanta area) as the exclusive broker to locate suitable space for the City of Woodstock and represented them in this transaction. This 3,000 square foot space within downtown Woodstock's highly visible "Parkside" retail center (adjacent to the downtown square/park) has been one of Woodstock's favorite local coffee shops for the last few years. Upon closing, the owner of the center turned to Landmark to locate a new tenant. "Vingenzo's" is operated by a certified chef and founder of one of Atlanta's best culinary institutes of higher education. Vingenzo's is set to open before the end of 2008 and their keynote trademark is their authentic woodfired pizza oven, hand made neopolitan pizza and handmade pastas. 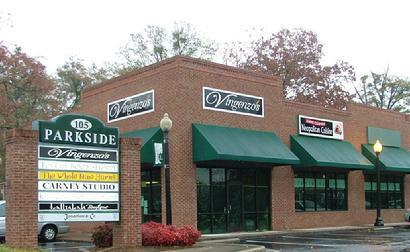 Truly, Cherokee County's only authentic pizzaria and pastaria and a welcome addition to the Woodstock community. Tony Eyl as exclusive Broker. A joint assembly of 60 parcels in the heart of downtown Woodstock on both the east and west sides of Main Street, to be developed in multiple phases...a true mixed-use community consisting of approximately 300,000 square feet of commercial space, 1,000 residential units of every type (stacked flat condos above retail, high-end multifamily units, town homes amd detached dwellings), complete with parks, walking trails, shops, restaurants, office space...everything one would need to live in a traditional small town but with a wonderful new world feel. This is truly a once in a lifetime project, resulting in the assemblage of approximately 50-60% of the downtown district for redevelopment. This development has brought a dying downtown back to life. Tony Eyl as the exclusive broker. An assembly of 5 parcels, totaling 72+ acres fronting on the scenic Little River...arguably one of the prettiest pieces of property in the Arnold Mill area. This site is currently being developed into a 60 lot high-end/custom home conservation community with 50% greenspace. Tony Eyl as the exclusive broker. 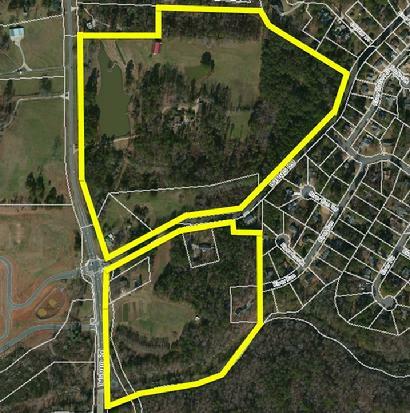 A land assembly of 3 parcels developed to create an intimate enclave of 78 lots located in the heart of the Ragsdale Road/Hwy 92 development node where a mixed development community is naturally occurring across various parcels. Tony Eyl as the exclusive broker. A unique assembly of 3 parcels totaling 4.75 acres in the heart of downtown Woodstock, a moments walk from shops, restaurants, City Hall, and the Gazebo on the Park. This enclave will be developed as an intimate mixed-use community with attached and detached homes, greenspace, and a mixed-use building consisting of commercial, office, and residential (condo) space. Tony Eyl as the exclusive broker. An assemblage of 7 parcels to create a 23.4 acre tract of land, all zoned for an intimate ensemble of 115 detached homes. This assembly represented one of the last sizeable opportunities for development in the Radsdale Road/Hwy 92 development node. Located across the street from and to be developed in concert with Cornerstone Park, it has been a welcomed addition to this growing corridor. Tony Eyl as exclusive broker. 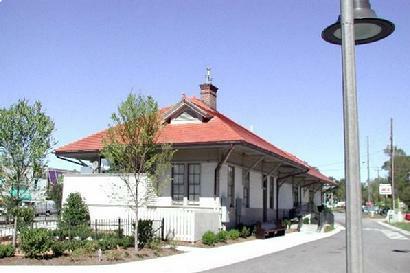 The historic train depot in downtown Woodstock is one of the oldest buildings in town. Left vacant and largely unsed for quite a few years, it was time to make this former center of activity the heart of town again. 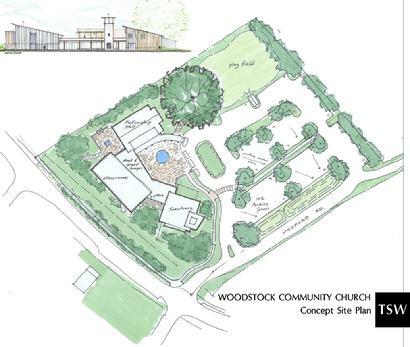 Representing the mixed-use developer of "Woodstock Downtown" discussed above, Tony negotiated the long term land lease from the railroad company that owns the land and the simultaneous lease of the structure from the City of Woodstock. The depot has been rennovated and now operates as a local tavern, one of Woodstock's favorite local gathering place for good food, friends, and discussion. Tony Eyl as exclusive broker.